Last week I was on a train leaving Roma Termini heading for Napoli Centrale – on my way to Sorrento. Amongst the cacophony of Italians shifting their luggage and trying to find their seat on the train I heard two people arguing in English. The couple was heading to Sorrento for their honeymoon. Their bags were on the ground. The husband had his hands in the air. The wife was pointing at the husband. Since the commotion was getting most everyone’s attention on the train, I decided to walk over and see if I could help. Long story short, we ended up talking for the majority of the ride to Napoli Centrale. They had just landed in Rome and we slowly making there way to Sorrento. Several things happen to them within the first 48 hours of their honeymoon; missed one train, purchased the wrong train ticket, were late getting into their destination, and had several arguments. Over the next hour the conversation seemed to clam the couple down. Once we arrived at Napoli Centrale I helped them with their connection to Sorrento. That interaction was a great reminder just of how hard it can be to travel when all the “Italian travel factors’ are hitting you all at once. Even the simplest things, can become disastrous, making it really hard to get from point A to point B. 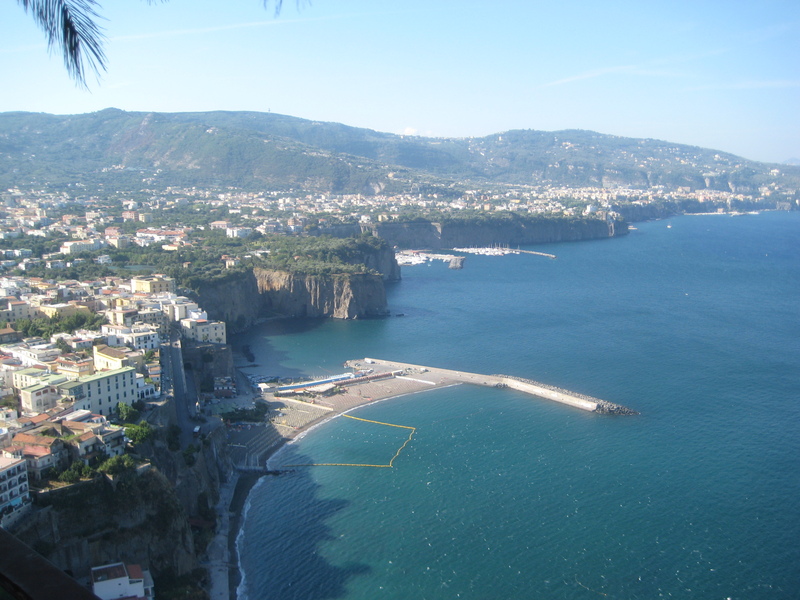 Here are 6 steps to get to, and from, Sorrento. 1. Arrive at Napoli Centrale. Once you have arrived at Napoli Centrale located the Circumvesuviana logo. The logo is on most signs and directing traffic to ticket office and track numbers. The circumvesuviana signs points toward the escalator heading under the main platform. Here is the Circumvesuviana logo. 2. Head toward the Circumvesuviana. The circumvesuviana is located in a separate part of the Napoli Centrale train station. Once you get off the escalator under the main platform, turn left, and head straight down the hall way. The circumvesuviana track and ticket window is located about 100 yards at the end of the hallway, and south of the main train platform. 3. Buy tickets. Once you arrive at the circumvesuviana window, tickets are available for the train to Sorrento and cost 4 euro each way. I recommend purchasing two tickets per person in advance. Tickets are not time sensitive and only become active when you validate them. It’s really nice not to worry about your return ticket while in Sorrento, and it can save time to already have a return ticket purchased when you arrive. 4. Find the train to Sorrento. The train that leaves for Sorrento departs from track 3 – in Italian it’s binario 3. Here are two important time management items to remember when on the train, (1) the trip to Sorrento from Napoli Centrale takes about 110 minutes and (2) there are 33 quick stops between Circumvesuviana at Napoli Centrale station and Sorrento. Please note: There are three different destinations departing from track 3. Make sure the final destination on the train says Sorrento. Click here to view the train departure schedules. 5. Arrive in Sorrento. Sorrento’s city center several blocks from the station. To get there, you must head down the stairs of the train station, head straight for two blocks, turn left, and continue about 5 blocks to Sorrento’s city center. 6. Go onward. There are buses departing to Positano, Ravello, Vietri, and Amalfi all available right out side the train station. Tickets can be purchased at the coffee bar across the street from the station. The Amalfi coast, like most sights in Italy, is really busy during the height of tourist season. In the off-season it’s very mellow and easy to move between the cities. For Italian enthusiasts the Amalfi coast easily makes their top 10 list of places to see. 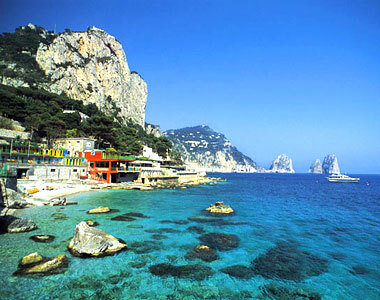 It’s full of southern Italian beauty and a great place to soak up the Mediterranean sun!